Excited by the possibility of your business ideas becoming a reality? Passionate about working on highly technical and impactful projects? Moved by making a difference in today’s digital world? 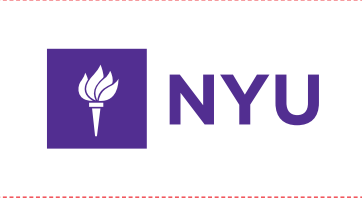 NYU’s Master of Science in Computing, Entrepreneurship and Innovation (MS-CEI) offered jointly by the famous Courant Institute and the Stern School of Business is happening again Summer 2019 and your application awaits you. With knowledge deeply rooted in both the Courant Institute and Stern School of Business, NYU is starting something new. We’re leveraging our faculty research expertise, leading global professional network, and broad portfolio of academic programs to foster the next generation of thinkers, leaders and entrepreneurs. With a combination of business, and process courses along with more challenging traditional computer science, MS-CEI provides students with the know-how and skills that leads them to become the next CEOs and CTOs. Located in Greenwich Village, the heart of one of the world’s most inspiring and influential cities, it’s a great environment to turn ideas into business realities.